Rugged and volcanic, the Aeolian islands off north eastern Sicily are recognized and protected by Unesco as a World Heritage Site because of their unique natural beauty. Most of the images in this section are of Panarea, the smallest of the archipelago of seven islands. It offers particularly beautiful views of whitewashed cuboid houses with columned terraces, set in an almost surreal landscapes of giant boulders, and surrounded by flowering cactuses, fig, lemon and almond trees. Each house has mouth-watering views of the deep blue Mediterranean sea. Adam has been photographing landscapes and houses in the Aeolian Islands since 1986. His family has owned a house on Panarea since the 1950s and he has been spending part of each year there since he was a child. Adam’s photographs of Panarea have been shown in exhibitions in the UK, France and in the US, are in countless private and corporate collections throughout the world, and have won various photographic awards. All of these images are available to purchase as limited edition prints. Larger sizes – please enquire. They are also available to be licensed for any editorial, advertising, or other use, please enquire. 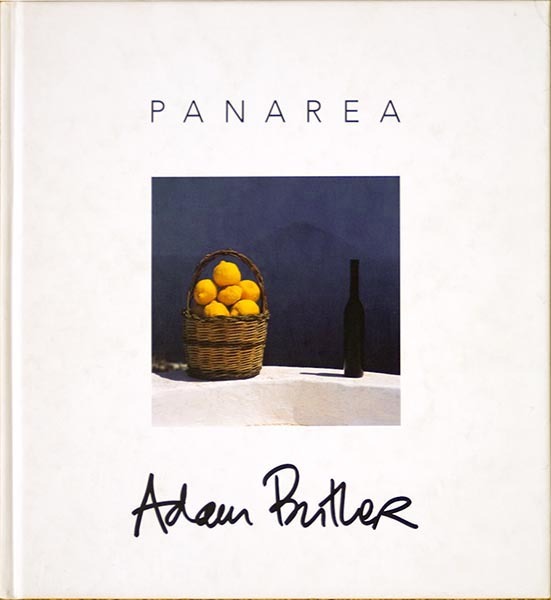 A book of his images entitled “Panarea” was published in 1998. His images have been used on products such as the “Escape to Panarea” perfume by renowned fashion house Dolce & Gabbana, as well as in books and magazine articles on Panarea, and on various magazine covers.